In a joint operation, the Shabak, IDF, and Israel Police arrested in recent months an Arab terror cell, based in Beit Fajr, adjacent to Bethlehem. 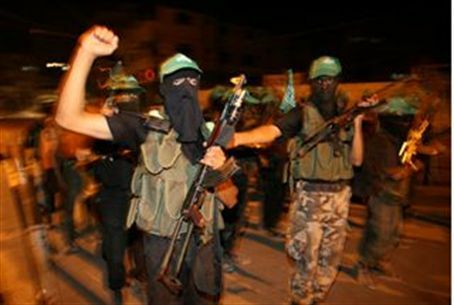 The terrorists, among them members of the Tanzim – the military wing of Fatah, which controls the Palestinian Authority – confessed to being involved in planning and carrying out numerous attacks against Israelis. A news blackout on the case was lifted Monday, and details of the case were released for publication. Among the acts of terror they carried out was a shooting attack on a bus that was traveling from the town of Migdal Oz in Gush Etzion. In addition, they fired shots at Migdal Oz itself, and then shot at IDF troops and security officials who came to the town in the wake of the attack. No one was injured in those attacks. The gang said that they had a long list of terror attacks that they were planning to carry out, and that only their arrest by Israeli authorities had stopped them. The five members of the terror gang, all of them Beit Fajr residents, range in age from 21 to 35 years. The five have been indicted on numerous charges, including attempted murder, membership in an illegal terror group, and others. Also released for publication Monday afternoon was the IDF elimination Sunday night of a Bedouin near the site of the security fence in Sinai. The Bedouin, along with a gang, met several individuals at the fence, with one of them bringing a ladder, apparently to boost himself over the fence onto the Israeli side. The operation was interrupted by an IDF patrol, which called on the group to surrender itself. Instead, they attempted to run away, and after warning them again, soldiers, fearing that the group consisted of terrorists on their way to carry out an attack on an Israeli population center, opened fire on them, and arrested them. One of the detainees, injured as he tried to escape, later died of his wounds in Soroka Hospital in Beersheva.